Now that you know who needs Bookkeeping (any business owner), let’s talk about the difference between a Bookkeeper and a CPA. Bookkeepers and CPA’s have distinct roles when it comes to your business’s accounting needs so let’s break them down. Bookkeeper – handles to the day-to-day transactions ensuring they are categorized correctly and specifically for your business, reconciles your accounts, provides monthly reports and can even track and file your state sales tax. CPA – Certified Public Accountant. Advises you on your tax position and also prepares your state and federal tax returns. If you’re a baseball fan like I am, you can think of the pitchers and make a comparison here. The game starts with a great pitcher that keeps the game going (sometimes there are multiples throughout the game), sets the tone for the game and throws a lot of strikes (hopefully) that gives his team an advantage. Then, at the end of the game, they bring out a closer. This pitcher is there to wrap up the game, throw those final strikes, get those final outs and hopefully bring home the win. The Bookkeeper is like the starting pitcher. They handle the upkeep, they look out for things that might need attention ar even advice from a CPA, they ensure that everything is recorded correctly and ready for the CPA at the end of the year. The CPA comes in after the end of the year and wraps everything up. They look for extra deductions and credits you can take, they file your state and income tax returns and they advise on what you should be paying in estimated taxes for the upcoming year. Both are important and essential to your business. Stay tuned because next we’ll be talking about how you can work with a Bookkeeper and CPA and even when the right time to hire them is. 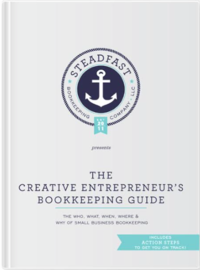 « What is bookkeeping & do you need to do it?